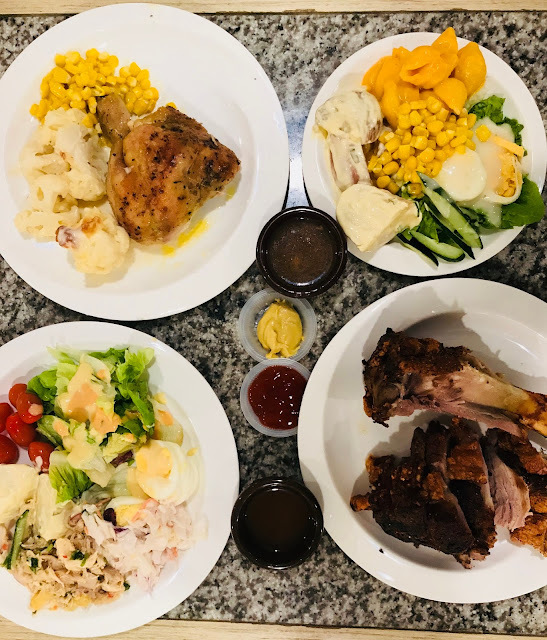 Regular readers of my food blog will know that I have done a review on Javier’s Rotisserie & Salad Bar back in January 2017 when they first started operations. It’s been a year and I went back to Javier’s to “spot check” to see if there is any deterioration of standards. The menu has been totally revamped, prices changed, new items added and some old items taken out. Every main course now comes with Javier’s free-flow salad bar, tea, coffee and soft drinks. Javier’s Salad Bar Buffet is $15.90+ on its own. Javier’s also offers a Lunch Promotion. 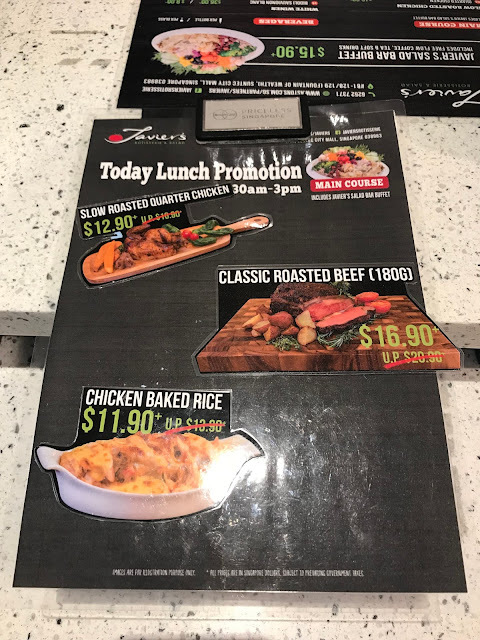 Slow Roasted Quarter Chicken [$12.90+], Classic Roasted Beef 180g [$16.90+] and Chicken Baked Rice [$11.90] sounds good, doesn’t it? 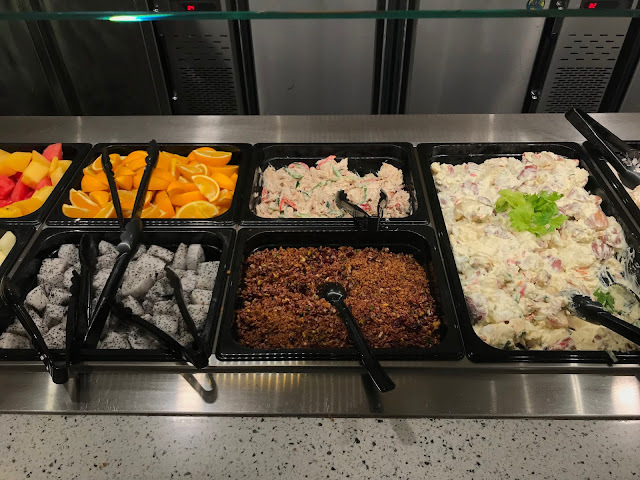 Javier’s Salad Bar Buffet offers a decent spread of fresh greens, ready-mix salads fruits and cooked items such as Cauliflower Cheese and Potato Wedges. Half Knuckle [$22.90+] is one of the new additions to the menu and I am so in love with it. German pork knuckle is not as popular as the Slow Roasted Quarter Chicken so it’s not available every day. The skin is super crispy and the meat is very tender. The staff very considers in slicing into small pieces so you will not have to wrestle with it yourself. 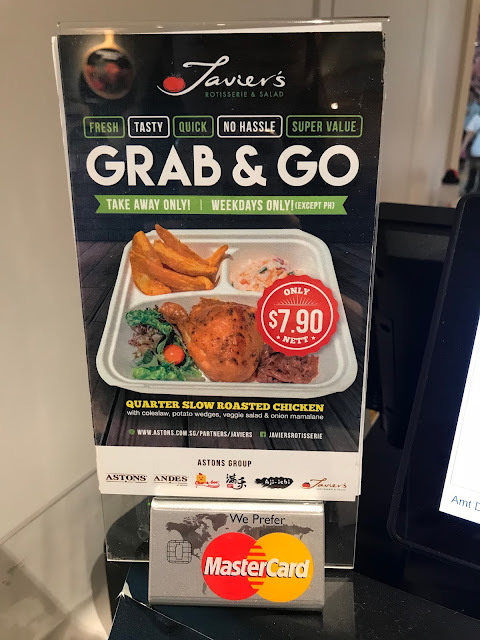 There is a new Grab & Go menu for those who don’t have time to sit down for a full meal. Quarter Slow Roasted Chicken [$7.90 Nett] come with coleslaw, potato wedges, vegetable salad and onion marmalade. I am happy to conclude that Javier’s Rotisserie & Salad has maintained its food standard very well. I like the free-flow Javier’s Salad Bar Buffet that comes with every main course. 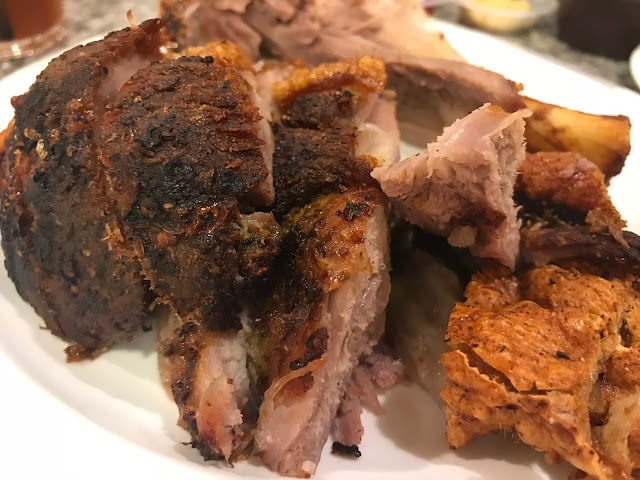 Slow Roasted Quarter Chicken is a still one of the best I have had so far and the newly-added Half Knuckle and Whole Knuckle are downright delicious.